BSNL provide better Happy offer , forget JIO all the way. Bharat Sanchar Nigam Limited (BSNL), the state-run telecom operator has decided to extend validity of its select mobile data plans by 43 per cent, and increased data offers by 50 per cent. 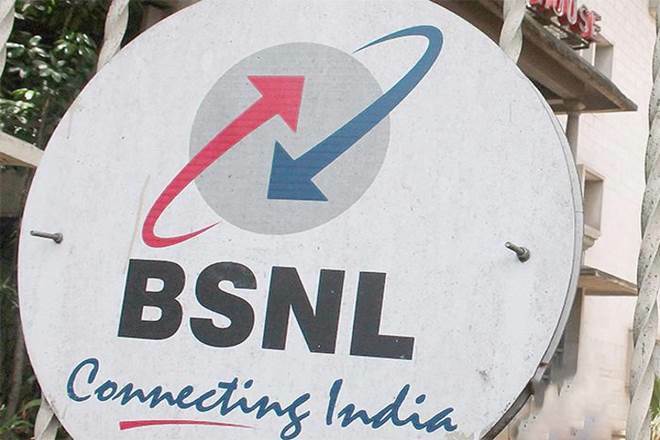 “Bharat Sanchar Nigam Limited (BSNL) has introduced BSNL ‘Happy Offer’ for prepaid mobile customers – 43 per cent extra validity and 50 per cent additional data with unlimited local, STD and roaming calls for prepaid mobile customers,” the company said in a statement. The ‘Happy Offer’ scheme will have a prepaid plan priced at Rs 485 under which 1.5GB data will be offered daily for 90 days. BSNL has also come up with a Rs 666 plan which will offer 1.5GB data for 129 days with unlimited local calling, STD and roaming calls. Customer subscribing to Rs 186 plan and Rs 187 special tariff plan will be provided 1GB data per day for 28 days. Also, BSNL’s Rs 349 and Rs 429 plan will provide customers with 1GB data per day for 54 days and 81 days respectively. BSNL has also decided to offer 100 SMSes per day in all the mentioned offers. BSNL’s aggressive offers might be due to Reliance Jio’s bumper price cuts implemented from January 9. Reliance Jio slashed Rs 50 on all its tariff plans and is offering as low as Rs 4 per GB. Jio is currently offering 1.5GB data with plans starting from Rs 198 for 28 days and is also offering 20 per cent data with its flagship Rs 399 plan along with increased two weeks validity, and also increased the validity from 70 days to 84 days. According to Jio, the plans offered from January 9 also include Rs 149 pack in which 1GB 4G data is offered for 28 days with free local and national calls. However, other giant telecom competitors like Bharti Airtel, Vodafone and Idea Cellular are expected to counter reliance Jio and BSNL’s plans soon. Recently, Airtel revamped its Rs 399 prepaid pack and provided customers with 1GB data, unlimited voice calls, STD, roaming free and 100 SMSes per day with 70 days validity. However, even though Airtel has launched this pack to counter Reliance, Jio offers 1.5GB data for the same price and for same validity days. Airtel has also released two other plans for high-internet users- Rs 448, Rs 509 and Rs 549 pack. Under the Rs 448 data pack, users will get 1GB data per day for 82 days. Similarly, under the Rs 509 pack customers will have the same benefits for 91 days. However, under the Rs 549 pack, Airtel offers 3GB data per day for 28 days.